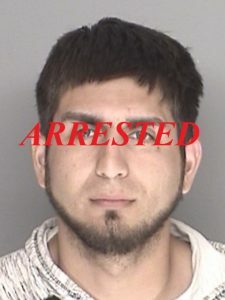 Geovanny Vera is wanted to two felony warrants totaling $300,000.00 for the charges of Possession of controlled substances for sales, felon in possession of a firearm, felon in possession of ammunition, and false information to a peace officer. He is described as 5-7, 135 lbs with black hair and brown eyes. His last know address was in the Mission Hills, Lompoc unincorporated area.